Eileen Holloway is the obese,single mother of two demanding teenage boys. Her life is a daily struggle to keep ahead at work, to pay her mortgage and to deal with her overbearing, heavy-drinking mother. Until one day when Eileen’s life is turned upside down when she takes part in a reality weightloss TV show, Barbara’s Beautiful Bodies, which promises to change her life ‘for better and for ever’. Eileen is suddenly a celebrity who is recognized everywhere she goes and who loses a staggering amount of weight. But once the series is over, once she’s out of the limelight, how will Eileen cope with her new image and her new life, when food has always been what’s got her through the day? Elaine Spires is a diverse novelist as well as an award-winning playwright and actress. Extensive travelling and a background in education and tourism perfected Elaine’s keen eye for the quirky characteristics of people, captivating the humorous observations she now affectionately shares with the readers of her novels. 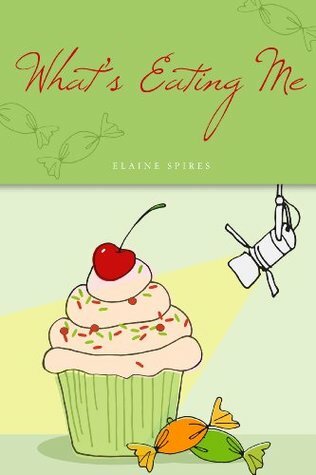 She wrote her first book What’s Eating Me in 2010. It was originally a play, a one-woman show performed as a monologue with a child actor – Elena-Beth Carter playing Eileen as a child in the background and Elaine performed it on the London and Edinburgh fringes. She loved the character of loved Eileen so much that she decided to expand the story into a book. Her second novel was Singles’ Holiday, set on her beloved Antigua… the Caribbean at its most luscious, its most beautiful… silver sand, cobalt sky, warm, turquoise sea… and a bunch of complete strangers who only have one thing in common: they’re single! And her third novel Sweet Lady, again set in Antigua, will amaze you with a massive twist which goes to show that nothing is as it seems!